Woohooo!!! Way to go Stars!! Thank you for the million ways you contribute to the team spirit, Ute. You are one of the reasons we are winners! Wow that is a cool badge! You sure did help, and we couldn't of gotten there without you! Thanks for all you do Ute! Take care, be safe, and as always stay healthy! 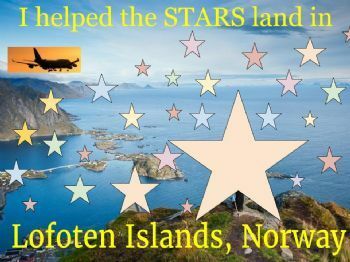 Thanks for helping us land and for being the BEST tour guide the STARS have every had! !